Captive Insurance Company |Mawicke & Goisman, S.C.
A Captive Insurance Company (CIC) is a special-purpose insurance company established by the owners of a business (company) to insure various risks of that company. The company could be a manufacturing business, service business, real estate developer, or professional group. A CIC is a risk management tool which insures risks that could be damaging to a business, but which may not be adequately or efficiently covered by commercial policies. Many major U.S. corporations have utilized CICs for years, and currently U.S. companies own 57% of the world’s captives. All 30 companies comprising the Dow Jones Industrials have CICs. CICs comprise 20% of the worldwide property and casualty insurance dollars spent, and represent $55-$60 billion in annual premiums. Beginning in the 1970’s, various closely held companies began utilizing the advantages of CICs. In the 1990’s, the number of CICs for closely held companies doubled. Currently, over 6,000 CICs are operating established by closely held companies. Based upon the number of currently operating CICs and more than three decades of mainstream market and regulatory acceptance, CICs are a well established risk management option. CICs provide both a supplement and an alternative to commercial insurance. The traditional insurance market has seen an increase in policy exclusions, coverage restrictions, deductible amounts and premiums. Additionally, insurance companies maintain the control of any covered litigation, including the decision to settle cases versus going to trial. CICs become an attractive supplement or alternative because business owners can better manage their Company’s risk and understand their business risks better than an insurance underwriter. With a CIC, the Company is no longer rated based on others’ or industry losses. Also, certain aspects of traditional insurance programs may not suit a Company’s specific circumstances. 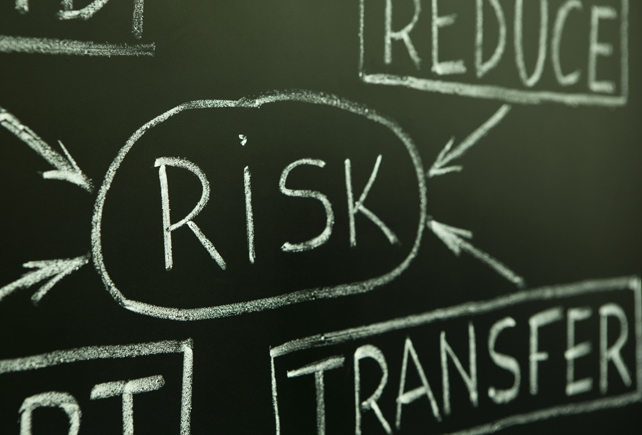 Business owners often ignore covering certain risks because of their cost. 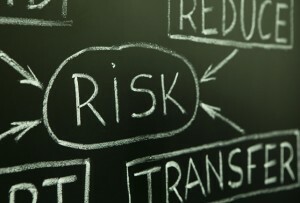 Some examples of these ignored risks which may be covered by a CIC include commercial pollution, commercial property, cyber risks (including computer hardware breakdown), crime, employee dishonesty, employment practices, errors and omissions, legal defense costs, kidnap/ransom, inventory obsolescence, loss of franchise, loss of key customers or suppliers, loss of key management, professional liability, loss due to regulatory changes, directors or officer liability, tax liability, business interruption loss, inability to collect receivables, increased going concern costs and market fluctuations, terrorism, loss due to transportation damage, and warranty costs and shortfalls. Thus, a CIC could modify traditional insurance or replace self-insurance, funded reserves or unfunded reserves for any of these risks. Also, to the extent that the Company’s accountants require that any of these risks be reserved for on the Company’s financial statements, insuring these risks with a CIC will remove these accounting reserves, and improve the Company’s financial statements. To meet the definition of “insurance,” there must be risk shifting from the Company to another entity. There must also be risk distribution among more than just one other party. This definition is met through the use of reinsurance and a fronting company. The Company would purchase insurance from the fronting company, which then reinsures its risk with the CIC, using stop-loss and quota share agreements. The CIC would be managed by a captive management company (“Manager”). The Manager performs the insurance, accounting, underwriting and claims functions of the CIC. The Manager’s functions will include filing annual reports, preparing and filing documents as required by regulators, binding coverage, issuing insurance or reinsurance contracts, performing banking and investment functions, rating and underwriting risk exposure, issuing policies, allocating premiums, losses and dividends as needed, and adjusting claims. The Company would purchase insurance policies for the specified insured risks from the fronting company. The premiums paid by the Company to the fronting company would be deductible from income taxation by the Company. The fronting company would then purchase reinsurance from the CIC. Under IRS Section 831(b), a small captive insurance company may exempt from income taxation its premiums so long as its premiums do not exceed $1.2 million per year. So while the Company would be entitled to a tax deduction for the premiums it pays, the CIC will not include its premiums received in its taxable income. The CIC would be taxed on its investment income. The premiums received by the CIC would then be invested. Over time, the assets of the CIC not paid out as claims would accumulate for the benefit of the owners of the CIC. The CIC would eventually be able to provide funds to its owners in the form of taxable dividends or liquidation proceeds. The CIC could be owned by the owners of the Company. Alternately, the CIC could be owned by the Company’s owner’s adult children or a trust for the benefit of the Company owner’s family. The use of a CIC can also be an effective estate planning tool, providing a tax efficient method of transferring wealth from one generation to the next and affording additional creditor protection for the Company’s assets. Accumulated surplus used to reduce future premiums or paid out as dividends. Establishing a CIC requires substantial planning and a significant investment in start up costs, capitalization and ongoing management costs. Accordingly, CICs are not appropriate for every business. The use of CICs are generally appropriate for profitable Companies with significant risk management needs. Also, start up costs can be up to $150,000, and the initial capital requirement for a CIC is at least $250,000 (although letters of credit may be available for this purpose). If a Company meets the initial criterion for establishing a CIC, the Company must conduct a feasibility study and obtain an actuarial report to determine if a CIC would be a good fit for the Company. The feasibility study and actuarial report use independent outside professionals, and examine, analyze, identify and evaluate in detail the specific risks and insurance needs of the Company. If the feasibility study and actuarial report determine that a CIC is appropriate, the Company must then finalize the Manager, structure and domicile, and formulate a business plan for the CIC. Finally, the Company must draft and file the necessary applications and documentation with the regulatory authorities in the chosen domicile. Should your company require international assistance, our membership in MSI Global Alliance — an international association of leading independent law and accounting firms around the world — is there to help. MSI is London based and has over 250 member firms located in 105 countries, providing its members with immediate access to worldwide legal markets. Contact us today to meet with one of our business transaction experts.